Doctors at the hospital led us to the dialysis ward. Every single bed was full, every dialysis machine running. This was supposed to be a children’s dialysis ward, but several beds were occupied by adults because there was no other place for them to go for treatment—without these hemodialysis treatments, they would not survive. The doctors then led us to an adjoining backroom. The room contained several waist-high blue plastic barrels. The doctor removed the cover on one barrel. Inside was the gel used to run the dialysis machines. However, instead of having special equipment to accurately measure and mix the fluid, as is modern practice, the doctors were mixing the gel by hand, with a wooden paddle. 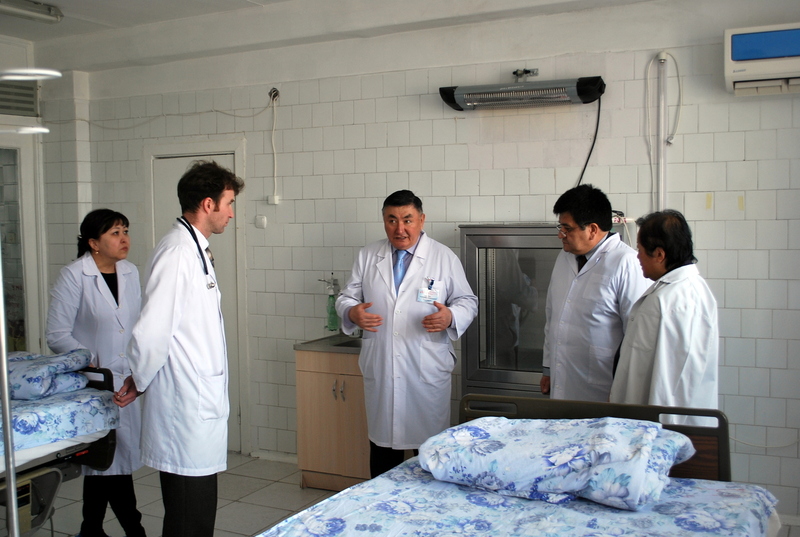 At the regional hospital in a town outside of Bishkek, the director of the hospital led us to a shed. One room of the shed was lined with dozens of boxes of medical disposables. Aid organizations’ logos were posted on walls and boxes. We realized that the hospital staff never received training on how to use the items, and what’s more, the implements were incompatible with each other, making some of them useless. 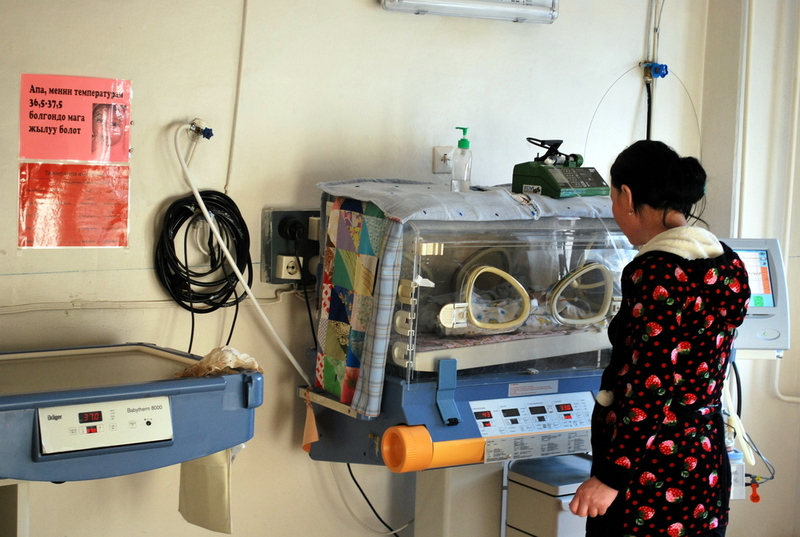 Multiple children in one incubator; crumbling facilities kept scrupulously clean; these scenes are just a few examples of the extreme human dedication amidst extreme resource deprivation and mismatched inputs that we encountered during our exploration of the public medical facilities of Kyrgyzstan—and these are the same issues we also aim to address in the Helping Hospitals Heal Children (H3C) Project. H3C is spearheaded by the Embassy of the Kyrgyz Republic and will be implemented in partnership with PASS, CELA, and we hope to encourage our SIBF friends to get involved as well. I’m Cassondra Puls, Director of Strategic Communications at PASS; and this is Dr. Jose Mosquera, Senior Public Health Consultant at PASS. In the following presentation, we will, first, share how this exploratory study came to be; convey some of our results; propose 3-phase intervention plan; and, finally, will share our next steps for H3C and let you know how you can be part of the vision to transform healthcare for children in Kyrgyzstan. Who are we? PASS is a flexible strategic consultancy partnering with a variety of stakeholders to reach shared global goals. We and PASS have been long-time friends and partners of CELA. That is why we were honored when CELA alumnus Ambassador Kadyr Toktogulov invited us to be part of his vision to drastically transform healthcare at Bishkek’s two major public children’s hospitals. However, to do so, it was necessary to better understand the prevailing situation on the ground. 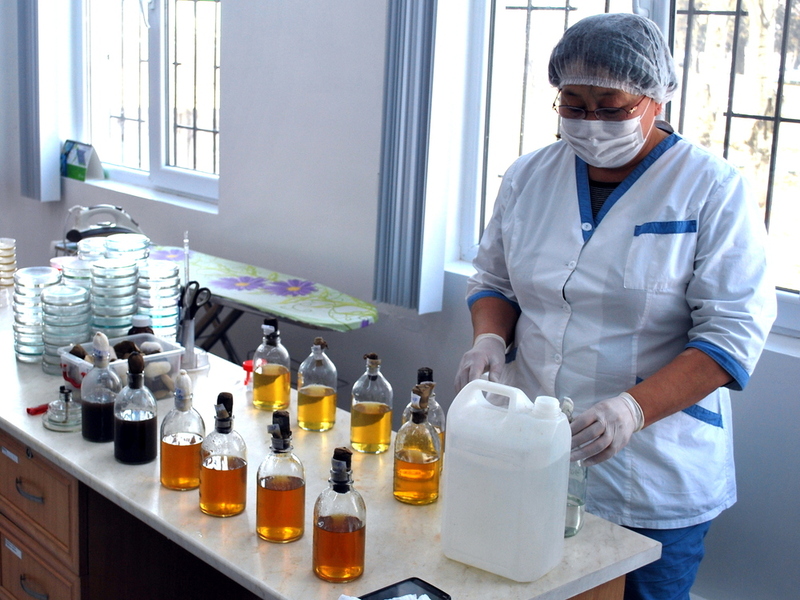 That’s why, in February this year, we completed the first stage of the vision: an exploratory study of children’s healthcare provision and quality in Bishkek. Two hospitals were the focus. For the study, Dr. Mosquera conducted in-depth interviews with key hospital, clinic, and Ministry of Health personnel via a local translator sponsored by CELA. He also surveyed the physical facilities of the two target hospitals and one regional hospital; toured a private laboratory testing center; and visited a gynecology center. Meanwhile, I collected multimedia documentation. Upon returning to the U.S., Dr. Mosquera compiled and analyzed these data in order to arrive at the preliminary assessment, recommendations, and implementation plan that you will hear shortly. However, before arriving at the preliminary findings and recommendations, it is important to understand the unique context in which Kyrgyzstan’s public health system operates, as well as understand the structure of the system itself. Kyrgyzstan is a country of about 6 million people. One-third of them are children under the age of 18. The majority of the population lives in mountainous rural areas outside the reach of easy communication. In 2008, more than 30% of people in Kyrgyzstan lived under the poverty line. Overall, the main causes of mortality are cardiovascular diseases, respiratory disease, cancer, and injuries. There are private hospitals, but the majority of the population relies on the public healthcare system. This system currently consists of 144 hospitals, 64 federal medical centers, and 110 primary health centers serviced by 12,000 doctors and other medical staff. The public healthcare system in Kyrgyzstan is structured to provide services at three Levels of service: the First Level, the Second Level, and the Third Level. Understanding the relationship between these levels is critical for designing an effective intervention. The First Level consists of Primary Health Centers (PHCs). It is situated at the community-level in rural areas and towns. This Level reaches over 80% of people in Kyrgyzstan with direct health amenities like vaccination, preventive medicine, community outreach, health education, and general care. We did not have the opportunity to visit any PHCs during our exploratory study. We recognized that, because of the extensive reach of the PHCs, any successful intervention in this First Level will reduce the pressure on, and will positively impact, the Second and Third levels. Therefore, even if our invention target is at the Third Level, the First Level cannot be overlooked. Moving on, the Second Level consists of Regional Hospitals in the provinces. PHCs refer patients to these Regional Hospitals in order to cover pregnancies, newborns, x-ray and ultrasound diagnoses, general surgery, and clinical specialties. To better understand this level, we visited the Hospital of Kemin. We realized that the Second Level of attention is extremely important to prevent over-demand at the Third Level. Yet, based on visit to the Hospital of Kemin, the Second Level is severely neglected. The hospital in Kemin, for example, was beset by fundamental infrastructural deficits. It had only one bathroom per floor and faced high risks of contamination from basic structural deterioration. Finally, the Third Level consists of “Reference Hospitals” and “Specialty Hospitals.” The two target hospitals are both representative of this Third Level. We perceived that this level has become over-saturated because of perceived and real deficiencies in the Second Level. The regional hospital which we surveyed was at 50% capacity when we visited, while the Children’s Hospital in Bishkek was overflowing with patients who had traveled there from the provinces, at great distance, effort, and expense. This demonstrates the pattern—services in the cities take on the burden of the rural population, which then adversely affects the quality of the services provided at urban hospitals. 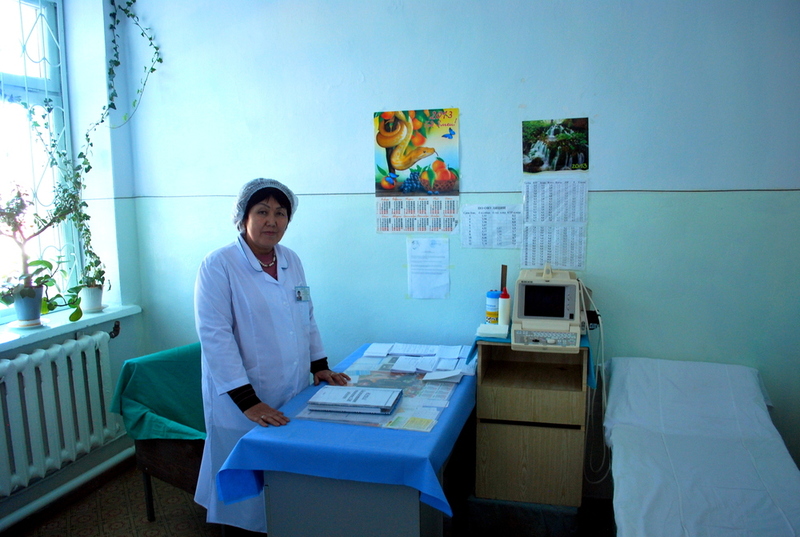 Because the health system in Kyrgyzstan is a system comprised of the three Levels of attention, we believe it is important to address the system holistically. This means, for example, improving programs of prevention and awareness in the First Level; improving quality of the services in the Second Level; and, as a result, optimizing the use of the Third Level. So, why hasn’t this reform already happened? At the macro-level, Kyrgyzstan faces daunting challenges to reform, including heavy debt and structural adjustments. Despite these challenges, the government has demonstrated its commitment to improving the system. The government of Kyrgyzstan has been instituting meaningful reforms of the health system in order to decrease fragmentation in financing and reorganize primary care services, among other helpful reforms. What were our specific findings about this system? Here, we will highlight 6 key findings which emerged from our assessment. These findings apply to both target hospitals. 1. Obsolete or inadequate equipment and deteriorated infrastructure. In general, the medical equipment available at the two Levels of service we observed are obsolete, insufficient, or both. For example, we saw two or more newborn children being kept in a single incubator. X-ray machines and ultrasound equipment were outdated and, in the case of X-rays, potentially hazardous to medical staff. Walls, ceilings, and floors had visible cracks, mold, or exposed wires. Because there were no facilities for visitors, families shared the same beds as their child patients—and we observed multiple families sharing a room. In the Regional Hospital, there was just one bathroom for an entire floor of patients. 3. Namely, the hospitals we studied had either extremely rudimentary or practically nonexistent clinical laboratories. Especially in cancer diagnosis and treatment, accurate clinical tests are essential. Yet we observed medical staff using little more than microscopes and beakers to diagnose a range of pathologies. This, we propose, leads to rampant misdiagnosis. For instance, blood cancers could be accidentally diagnosed as anemia, leading to mistreatment and avoidable death. 4. We also noted a high presence of kidney diseases, leading to elevated demand for hemodialysis services. As we described before, the dialysis ward in one of the hospitals we studied is 100% saturated, with the 12 machines providing an average of 30 procedures per day. This is highly risky, as the malfunction of just one machine would mortally endanger the patients who rely on dialysis for survival. In addition, the hospital lacks an automatic, closed, sterile mixer for preparation of dialysis gel; instead, hospital personnel prepare the gel manually, in an open bucket, leading to a high risk of contamination. 5. There is a high incidence of cardiovascular problems among child and adult patients. Cardiovascular complications are a major problem for adults in Kyrgyzstan due to heart failure, high usage of tobacco and alcohol, and lack of proper nutrition. However cardiovascular complications are common for newborns and children as well. At the National Children’s Hospital, we found that, on average, 5 children per week died as a result of cardiovascular disease. This may be related to high altitude living, infections, and difficulties in getting proper diagnosis and treatment in rural areas. 6. Finally, we encountered high levels of staff commitment and integrity. Against the harsh material constraints, it is important to emphasize the valuable human resources and the deep personal dedication, commitment, and integrity we witnessed among the hospital staff. The Director of the major children’s hospital which we visited was extremely candid, giving us an unvarnished view of the hospital’s operations; a team of pediatric cancer doctors listed their language skills in Russian, Kyrgyz, English, Arabic, Italian, and Turkish, and insisted that they would learn any other language necessary in order to receive more training! Despite extreme resource scarcities and infrastructural challenges, staff did the best with what they had. In each site we visited, sanitation protocol was posted clearly, hand-washing stations were widely available, and surfaces were well-cleaned. As can be seen, the resource deprivation is having immediate, devastating impacts on the health of children in Kyrgyzstan—and both staff and stakeholders here are keen to make a swift and effective intervention. To address these issues, based on our exploratory study, we propose a set of Preliminary Recommendations, which we have organized into three Implementation Phases. Phase II. Our proposed Phase II comprises an extensive set of deeper infrastructural and equipment improvements. In this Phase, infrastructure and furnishings should be updated to provide privacy, security, and sanitation for children, including child-only beds and facilities for family members. In addition, in Phase II, equipment for surgery, anesthesia, intensive care units, and recovery services would be modernized; the number of available equipped beds for neonatology would be increased; clinical laboratories in the two hospitals would be more fully provisioned; and hospitals would be equipped to conduct advanced imagen diagnostics, including CT-Scan and MRI studies. Also in Phase II, we will begin improving the collection of health metrics and statistics. Notably, this phase will be complemented with the formation of medical teams and delivery of training for these teams. The trained local teams will then lead the implementation of new treatment protocols for children with cancer, dialysis, and cardiovascular diseases. Phase III. Finally, Phase III is the most ambitious. Upon reaching this stage, we would aim to open a Cardiovascular Hospital, specifically for the treatment of the very prevalent cardiovascular diseases, and launch a Bone Marrow Transplant Unit for blood cancer treatment. These improvements would be deeply transformational for the well-being of the children of Kyrgyzstan, and would therefore require a corresponding significant investment in infrastructure, equipment, as well as new staff and training. We aim for H3C to avoid the pitfalls of some interventions that have been input-based, narrow, and not systemic in perspective. Therefore, we propose 4 Next Steps to be undertaken urgently. (1) First, we will organize and convene an Advisory Committee to provide H3C Project technical oversight, strategic management, and fundraising assistance. This Advisory Committee will contain representatives from CELA as well as business leaders, social entrepreneurs, philanthropists, and healthcare experts. (2) Second, we will raise an initial round of funding to finance an in-depth assessment of the two target hospitals, and we will coordinate and deploy a team of specialists to the country for a full-scale 3-4 week assessment. (3) Third, we will use Assessment findings to confirm and finalize Dr. Mosquera’s Implementation Plan. (4) Fourth, we will commence a new round of fundraising to seek large-scale support for funding for this finalized Implementation Plan. Our targets for this round will be multi-national public sources, international NGOs, private foundations, philanthropists, and public-private partnerships. That is where you, the audience members, come in. Such an ambitious project that is based on real needs with resources deployed strategically toward sustainable improvements, will require broad-based support and diverse partnerships. Not only is our project ambitious, but our timeline is as well. Ambassador Toktogulov aims to deploy the assessment team in mid-to-late September and to be finished with data analyzed by the end of October, this year. Therefore, we must act now to convene the Advisory Committee, secure funding for the assessment, and build the assessment team. That is where you, the audience members, come in. Such an ambitious project that is based on real needs with resources deployed strategically toward sustainable improvements, will require broad-based support and diverse partnerships. Not only is our project ambitious, but our timeline is as well. Ambassador Toktogulov aims to deploy the assessment team in mid-to-late September and to be finished with data analyzed by the end of October, this year. Therefore, we must act now to convene the Advisory Committee, secure funding for the assessment, and build the assessment team. We ask you: Join the Ambassador on the Advisory Committee, lend us your expertise, networks, and passions to H3C now. 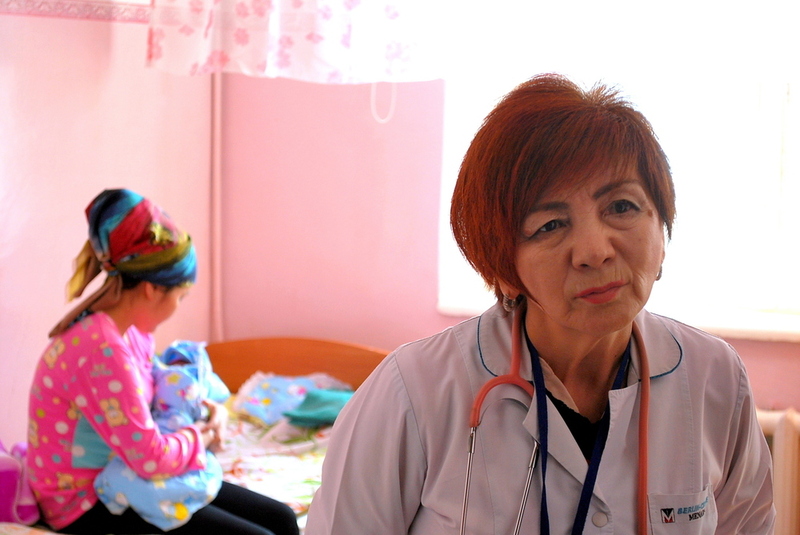 We’re not talking about the problems of two hospitals: we’re talking about all the children of Kyrgyzstan. Together, we can create a sustainable solution and, potentially, improve the lives of millions of children and their families in Kyrgyzstan. References to specific places have been removed to protect the confidentiality of research participants. All photos were taken by PASS, LLC and are not authorized for dissemination or reproduction of any kind.